In Rome we noticed that playgrounds were few and far between, as most children are schooled indoors and so each have their own private playspace. We found many more public playgrounds in London, including the first one in which Isaac played, on Drury Lane (of Muffin Man fame). 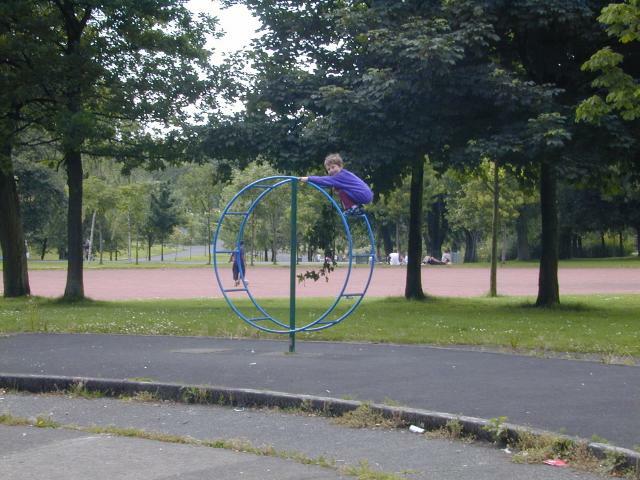 In Glasgow there aren't many playgrounds to be seen, and this one, on the outskirts of some good neighborhoods seemed rather sparse to our eyes. The expanse of asphalt tar as a play space (rather than a sandbox) and the unmaintained, deteriorating play structures made for a bleak experience. 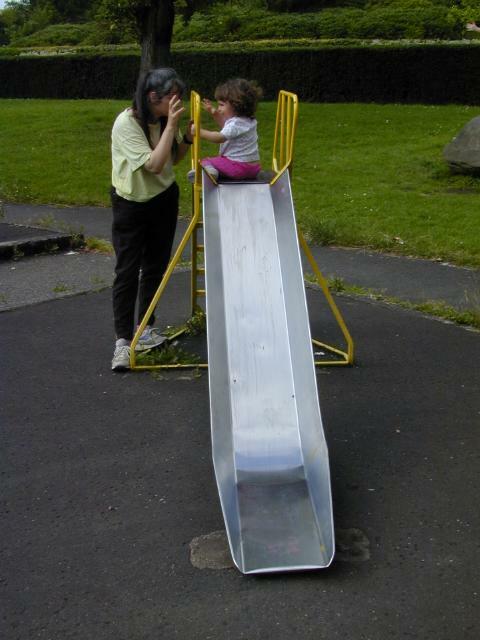 This toddler slide was another example of the dry play-space. Uninspiring. And not a very nice landing. We were much more pleased with the play areas on either side of the People's Palace, in the Glasgow Green. Go there instead. Okay, enough with my too-cursory pages about Glasgow. Let's start seeing the country. First of all we go out and visit Culzean Castle, South Ayrshire.